Rely on Norris Appliance for all your appliance repair services. We offer complete on-site repairs, as well as same-day and next-day appointments. When our technicians arrive for the repair, they will always be in uniform and will get to work right away to troubleshoot your appliance issues. By thoroughly diagnosing the problem, our team is able to find and fix all the issues. 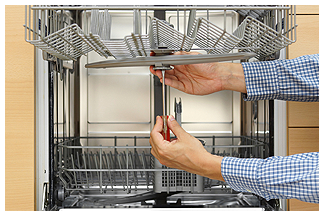 Additionally, when your appliance needs replacement parts, we usually have them on hand. This minimizes our downtime so that we can finish your stove, freezer, or fridge repair even sooner. We also guarantee the parts we use and offer a warranty on all services we provide. Our technicians have the tools and experience needed to properly connect your appliances, ensuring that they function correctly. We even handle gas appliance hook-ups where we make sure that they are hooked up appropriately and that there is no risk of leaks.